Last January, Europe's low-cost giant, Ryanair, made headlines in French newspapers by announcing the closure of its only base in France, in the Southern city of Marseille. The Irish carrier moved in 2006 to Marseille airport, basing four aircraft there. Last year, so far Ryanair's best year at Marseille airport, the carrier had a network of 23 destinations and carried 1.37 million passengers. Ryanair’s expansion was, however, to be crushed by French labor laws. Ryanair did not follow France legal procedure, which requests that any staff based in France comes under French employment law, including for social benefits. Threatened to face legal action from the French State, the carrier finally bowed out and decided to close its base, transferring its four aircraft to Spain and Italy, among others. Marseille airport lost overnight 13 destinations and expected to see Ryanair’s traffic reduced in the range of 700,000. It has been a classic trick from Ryanair: the carrier generally threatens airports or states which refuse to bow to the carrier’s financial wishes. But this time, it seems that the Irish carrier’s decision had been too hasty. Obviously, Marseille airport generated more traffic and revenues to Ryanair than it probably thought. By April, the carrier already announced it would reinstate part of its network just over the summer months. The carrier reopened 11 routes with 2 aircraft “temporarily” based at Marseille airport. With 2 aircraft based only for a limited time, crew stationed in Marseille are not submitted to French law on labor. However, Air France's announcement 2 weeks ago that it would boost its presence at Marseille airport, changed Ryanair’s mind once more. The France national carrier will add 30% more capacity this winter out of the southern airport, offering flights to 13 new cities (Athens, Basle-Mulhouse, Beirut, Biarritz, Brest, Casablanca, Copenhagen, Düsseldorf, Eindhoven, Istanbul, Milan, Moscow, and Prague) with fares starting as low as €50 for one way. En vous reme. According to Pierre Henri Gourgeon, Air France CEO, the airline hopes to carry 1.3 million passengers a year and gain in visibility by offering competitive fares and a dent in low-cost carriers' traffic. Ryanair’s counter-offensive came almost overnight. Michael O’Leary, Ryanair CEO, personally present in Marseille, announced to serve again 14 destinations this winter from Marseille with aircraft based outside France. The low-cost airline will serve domestic destinations (Brest, Nantes, and Lille) as well as Brussels, Eindhoven, Fez, London, Madrid, Malta, Marrakech, Milan-Bergamo, Porto, Rome, and Sevilla. The airline just launched a promotion offering 1 million seats at €9.99 valid in October. The carrier estimates to be able to transport a million passengers. Asked about competition with Air France, Mr. O’Leary declared with his usual sense of diplomacy that he did not care very much about Air France’s strategic decisions. “Whatever they try to do, they will always be more expensive than us. Instead of offering fares 5 times higher to ours, Air France will propose fares ‘only’ 3 times higher to ours," he explained. The fact to offer this program with aircraft based outside Marseille will increase production costs by 20% according to Ryanair CEO. Obviously, additional expenses are worth Ryanair’s presence. 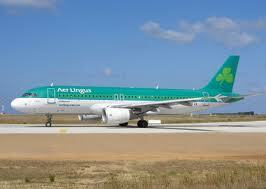 Aer Lingus has just introduced a direct route from Dublin to Perpignan airport. From 20th July 2011 until 29th October 2011 there are two flights a week between Dublin and Perpignan airport on Tuesdays and Saturdays. For more info go to the Aer Lingus website. Ryanair has been advised by Tours Airport that due to essential runway works the airport will be closed from the 26 July-5 August. During this period all Ryanair flights to/from Tours airport will operate to/from Poitiers Airport at the same times and with the same flight numbers. Poitiers Airport is located 98km from Tours Airport. A free coach transfer will operate to/from Tours Airport to Poitiers Airport during the airport closure period. Coaches to Tours Airport will leave Poitiers Airport 30 minutes after the arrival of Ryanair flights. Coaches to Poitiers Airport will leave Tours Airport 3 hours and 30minutes before the scheduled flight departure time. New flights to Beziers - twice a week from Manchester with Ryanair starting April 2012. 1 - Represents the booked seats sold. 2 - Represents passengers as a percentage of total seats available.